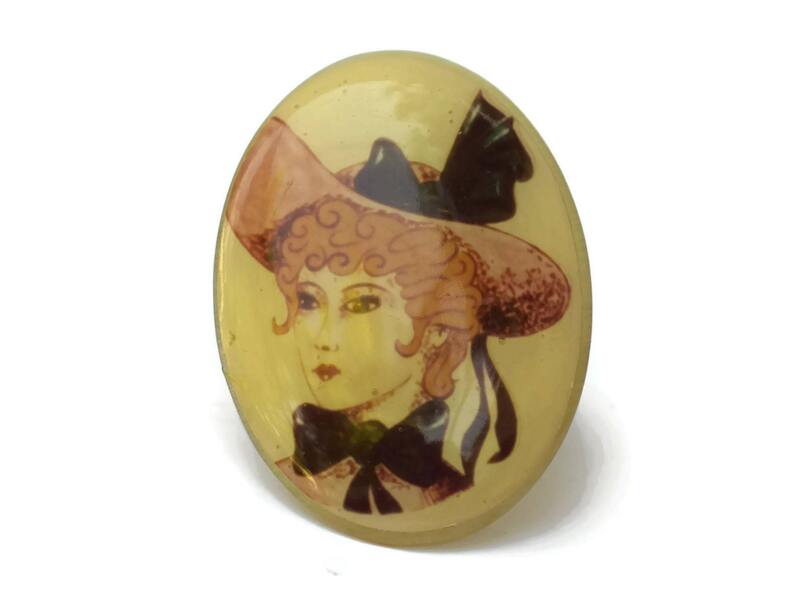 A charming French vintage woman portrait brooch dating from the 1970s. 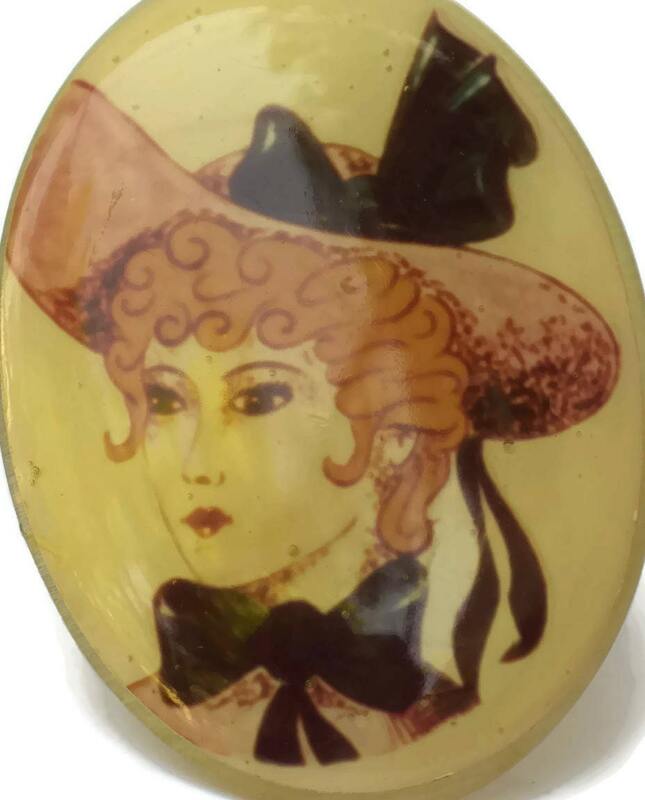 It features the portrait of woman in a large hat with ribbons. 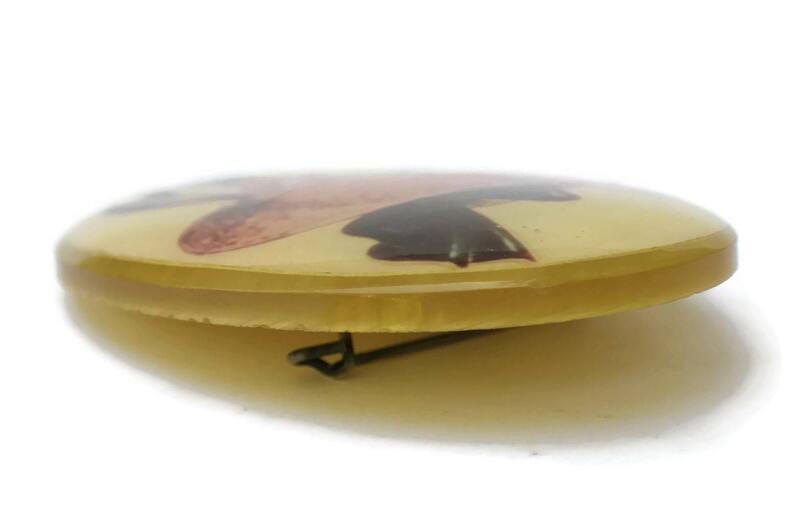 The large oval pin has been created from an illustration set under resin. 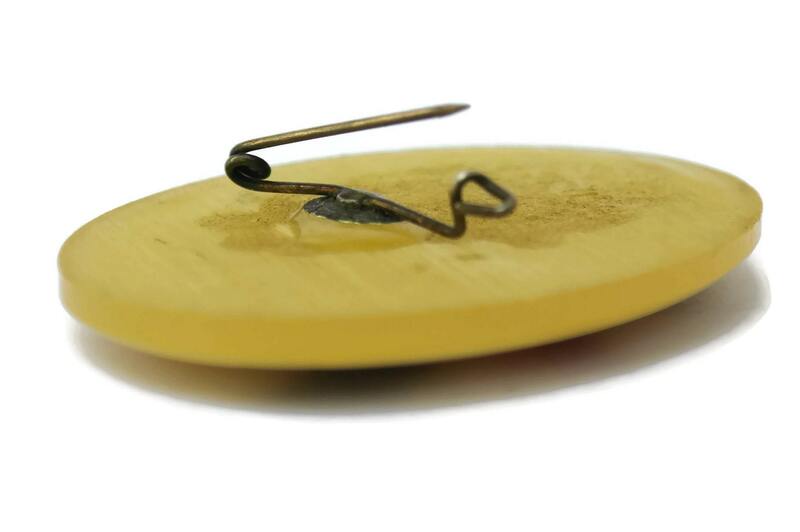 The reverse side has a secure metal clasp. 2 1/2" Long x 1 1/2" Wide (6,5 cm x 4 cm). 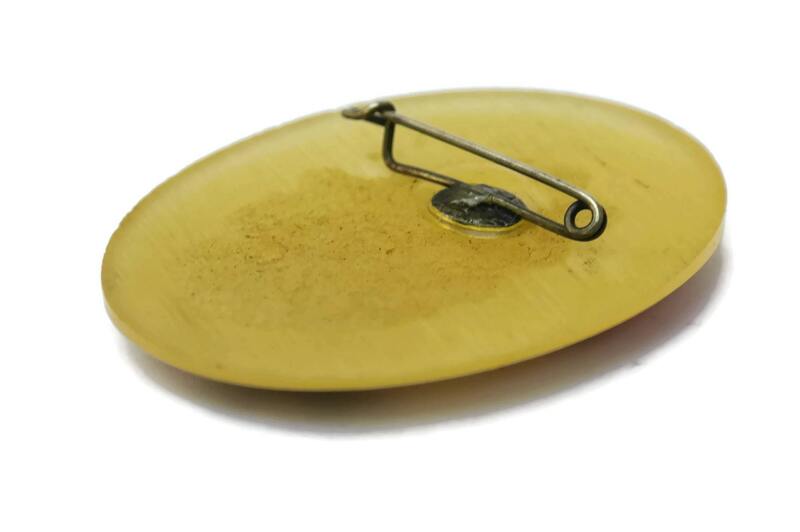 The brooch is in very good condition with light wear.